In a nutshell: I’ve served FIU since 1989. Currently, I’m the director of facilities planning for the Division of Student Affairs where I use my expertise in developing and managing capital projects. 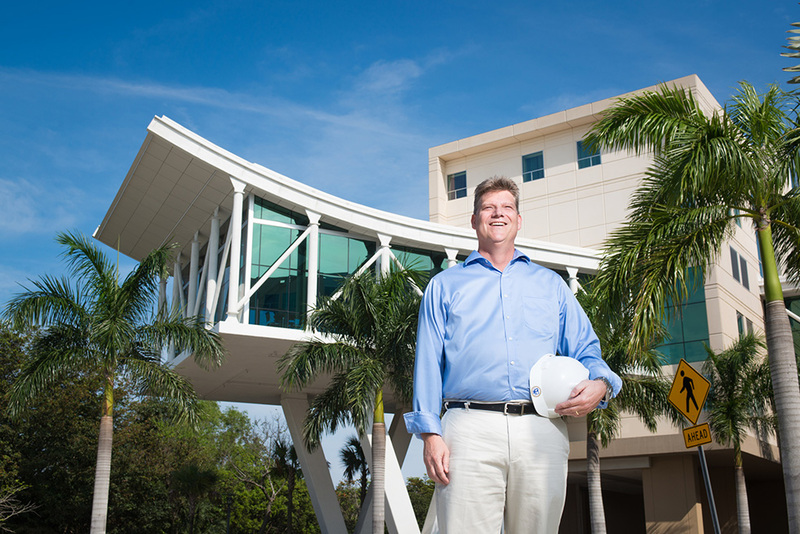 I’ve overseen and delivered projects for FIU totaling more than $350 million. Some recently completed and current projects I’m working on include: Wolfe University Center remodeling (Panther Square & Auditorium), BBC Panther Plaza, Recreation Center expansion, Royal Caribbean Production Studio (P3), Bayview Housing (P3), Student Health Services building refurbishment (both MMC & BBC) and the Student Academic Success Complex. Some other projects from the past include: Panther Hall, University Towers, Graham Center expansion (Food Court, Student Government offices), refurbishment of the BBC Aquatic Center, Everglades Hall, Lakeview Housing Complex, Student Health Services building, BBC Fitness Center, BBC Food court, Public Safety Headquarters, Student Recreation Center (Phase 1), FIU Arena expansion, Nature Preserve jogging trail and Parkview Housing and parking garage. I earned a master’s degree in education, specializing in student personnel administration/development, from the University of Georgia and a bachelor’s in political science from the University of South Florida. I’m also a recipient of the FIU Presidential Award for Achievement and Excellence. While I was director of Housing, the Lakeview Student Housing Project received the South East Construction Award of Merit, and the University Park Towers Project received the American Builder Association Excellence in Construction Award. Recent projects awards include Parkview Housing receiving the Green House award and design Excellence award from FEFPA. Wolfe University Center Panther Square received a design Excellence award from FEFPA. What do you enjoy most about your job? Working with the university community to plan and develop projects that will effectively serve to educate future generations. What should students and fellow faculty/staff know about your department? We are here to help facilitate building programming, design and construction; strategic planning, budget planning, develop deferred maintenance priorities; serve on a variety of committees – including university space planning, campus master planning, selection committees; serve as a project manager for business affairs/facilities management on the development and execution of public private partnerships. Where is your favorite spot on campus? Toss-up between the Nature Preserve at MMC and the Sky Lounge at Bayview Housing. Why? I enjoy the outdoors and the view of the beautiful Biscayne Bay. What is one thing you wish everyone knew about FIU? The ceaseless dedication of the people who serve this institution with their talents and time. Family snapshot: Married 26 years to my lovely wife Mary. Two children: Jacob, 20, and Joshua, 16. What do you do when you are not working at FIU? Travel, sampling wine, fine arts, cooking, gardening, outdoor photography, camping, road trips and video gaming with the boys.